A highly nourishing treatment that combines outstanding softening and deodorizing properties in a single product. The Mint and Thyme essential oils have a deodorizing effect, while the Shea butter is emollient and nourishing. The results are noticeable from the very first times you use it. Shea Butter: it is the ideal ingredient for cosmetic products with an emollient and nourishing action. Hair/Skin:For all skin types, especially dry skin. 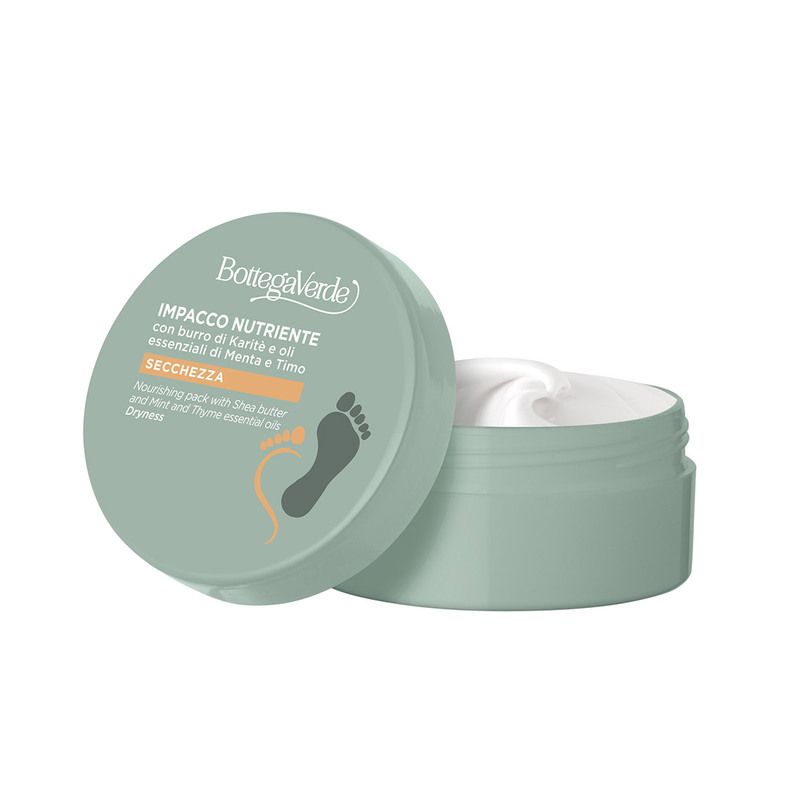 Direction for use:How to use it: rub a generous amount of the product into clean, dry feet. For optimum results, it is best to carry out the treatment just before you go to bed at night, so that the product can be absorbed as effectively as possible while you sleep. Scent:A balsamic fragrance, thyme and natural Menthol. Suggestions:For anyone who is looking for a single product that is highly nourishing and deodorizing. Characteristic:Cream enriched with vegetable oils and butters, beeswax, menthol, thyme and mint. 0% parabens, formaldehyde releasers, mineral oils and silicones.